The first time I ever tasted Vermentino was last fall during our trip to Italy. Our friend Mitch Cosentino was one of multiple hosts on the cruise and we spent many days traveling the ports of call together. 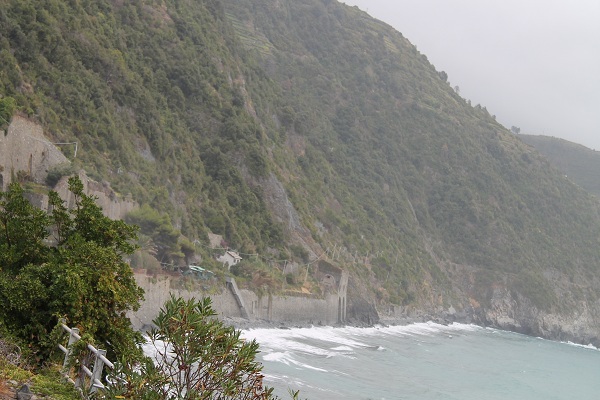 During the trip, one of the stops was in Cinque Terre. If you are not familiar with the area, the Cinque Terre is a rugged portion of the west coast on the Italian Riviera. It is in the Liguria region of Italy, to the west of the city of La Spezia. “The Five Lands” is composed of five villages: Monterosso al Mare, Vernazza, Corniglia, Manarola, and Riomaggiore. The coastline, the five villages, and the surrounding hillsides are all part of the Cinque Terre National Park and is a UNESCO World Heritage Site. It is an absolute beautiful location and worth a trip to see what it has to offer. 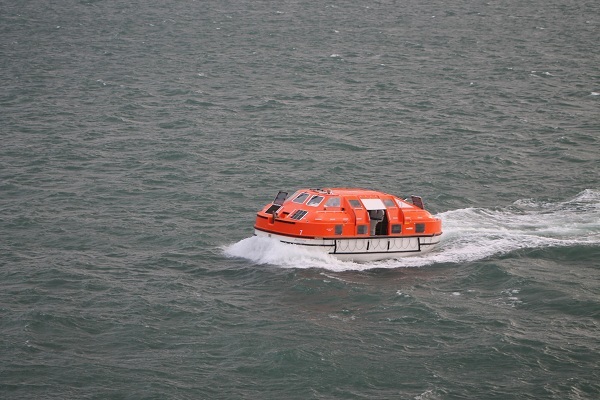 Our boat ride to the port of call. Our port of call was in Portofino with a 30 minute boat ride to La Spezia. The three of us wanted to travel up the coast and see some of the “The Five Lands”. The only way to travel was by train as walking was not an option. Not knowing the language was very challenging. We first had to buy tickets and reading the signs while trying to talk to the locals was not fun. Finally we figured out how to buy tickets, but determining what train and on which tracks was another story. Looking back now it was quite funny as we ran from track to track thinking we were on the right train. At one point Chris and Mitch had approached a train that thankfully someone spoke English and confirmed it was the wrong one as I had suspected and we would have been headed in the wrong direction! Had we taken that route, we likely would have missed getting back on the ship the end of the day. We finally headed in the right direction to Vernazza where we wanted to have a light lunch and take in some views. The train ride start to finish was only about thirty minutes. It was hot and humid and the train to and from was jammed full of passengers in both directions. At times it was a little sticky and it really didn’t smell very pleasant! Residing on the walls were grapes in town. When we arrived in Vernazza we started heading towards the water front. The views were spectacular and the water was brilliant. I could only imagine living in a place like this. I could see myself spending more time at Cinque Terre in the future. We found ourselves entering a small hole in the wall restaurant where the server spoke pretty good English. When we explained that we came off of the cruise ship he told us stories of his work cruise ships many years ago. 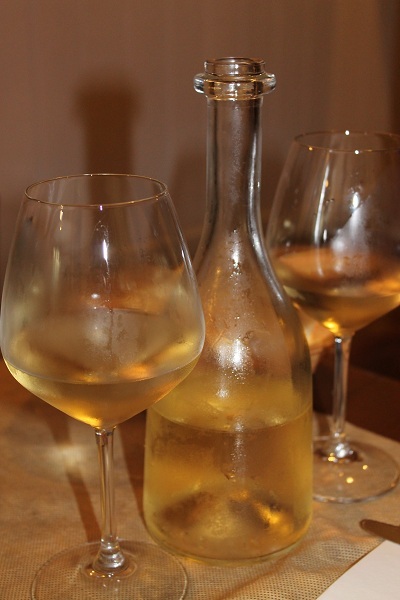 We reviewed the wine list and decided to try both the “house” white and red with our lunch. 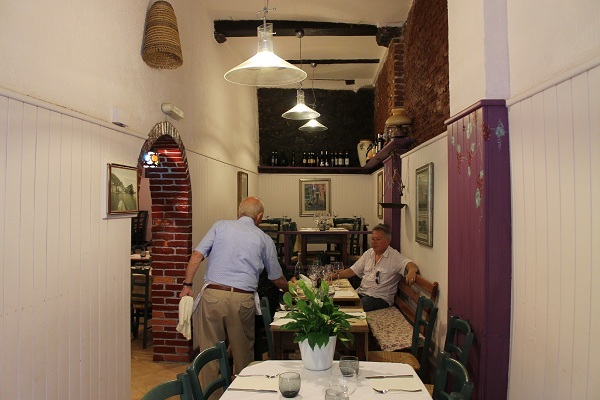 The white wine was a Vermentino from the Colli Di Luni region and it was an excellent choice. It was slightly sweet and refreshing in the heat. The small eating area with our old host. Our lunch! 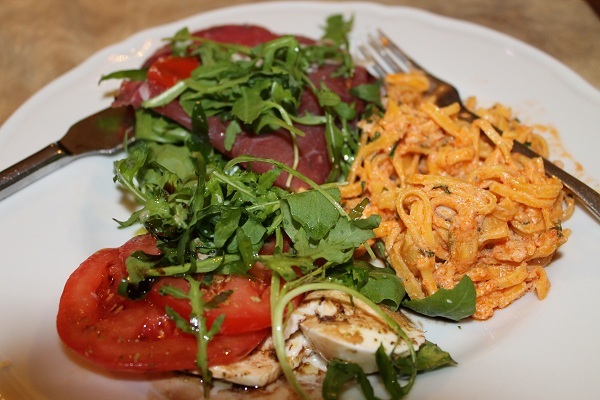 Yummy Caprese salad and Pasta. The Vermentino was great. Notice the sweat on the glass? We did a lot of shopping in the local stores on the way back to the train and I had to buy a bottle of the 2011 Lunae Colli Di Luni Vermentino to have another day. Once home I did some research on-line and to my surprise there are not a lot of wine makers in the US making Vermentino. 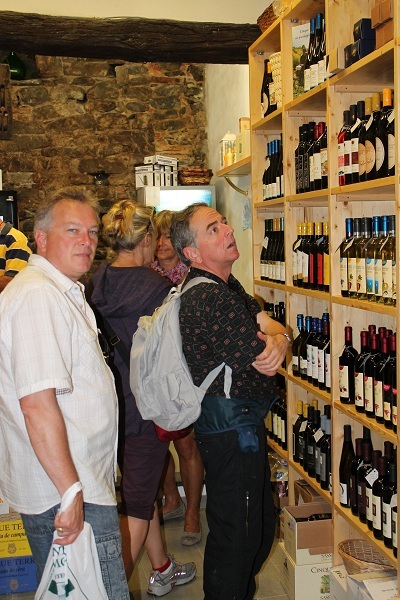 Mitch and I looking for the Vermentino. 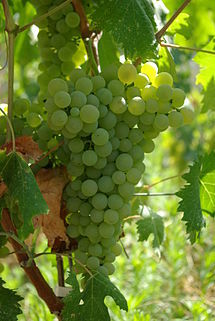 Vermentino is a late-ripening white grape variety, primarily found in Italian wine. It is widely planted in Sardinia, in Liguria primarily under the name Pigato, to some extent in Corsica, in Piedmont under the name Favorita, and in increasing amounts in Languedoc-Roussillon. The leaves are dark green and pentagonal. The grapes are amber-yellow and hang in pyramidal (resembling a pyramid) bunches. 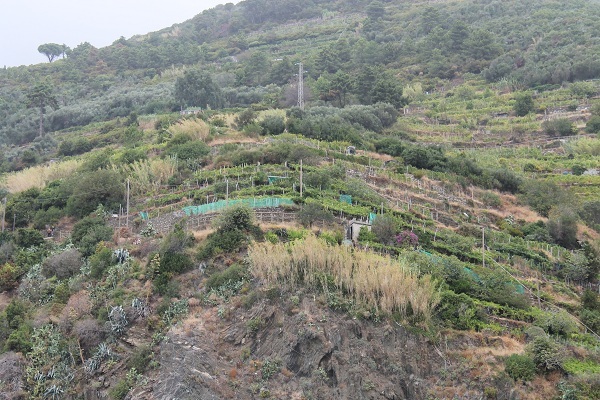 The vines are often grown on slopes facing the sea where they can benefit from the additional reflected light. I have heard it mentioned that Vermentino maybe the next Sauvignon Blanc. To be honest I feel that though they are not the same, I do see the comparison totally accurate but Vermentino is still lacking support from major wineries. I could only see about a half a dozen wineries offering Vermentino during my Internet search. If you do come across a bottle in the store I would buy and try it. I think you will be happy. Recently at home, I finally decided to drink the 2011 Lunae Colli Di Luni Vermentino we brought back from the trip. I had waited for a hot day and it was almost 90 degrees and humid. Perfect for our enjoyment! Pale color depth with a green hue and it was very clear in my glass. Very aromatic and “citrusy” while I noted green apple, pear, and melon. The Vermentino was sweet and light bodied and the acidity was lively but crisp. There were no tannins, but it was very flavorful. The finish was soft and long while it just melted in my mouth. How Much: I think I paid around $20 US. I’m sure it was a little higher because I paid in Euros. 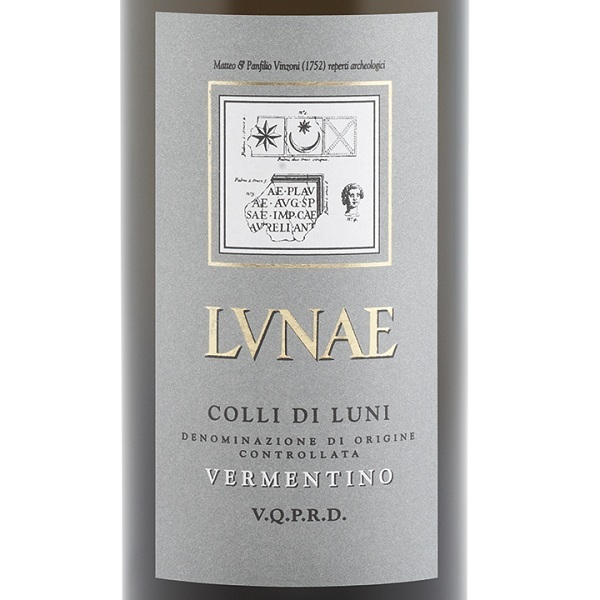 I rated the 2011 Lunae Colli Di Luni Vermentino three glasses. For a sweeter white wine I really enjoyed it. I suggest that you enjoy drinking it on a hot day outside.